Description - Shaw Cannonboro broadloom carpet features a beautiful floral style trellis pattern that is minimal yet eye catching. The traditional style pattern accentuates hotels, home theater rooms, and many spaces with it's unique richness. Cannonboro is backed by a 20 year warranty. 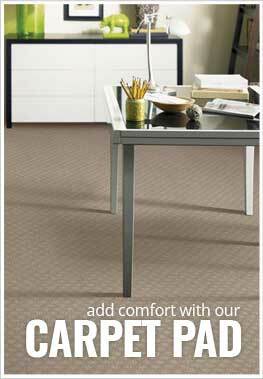 Recommended Uses - Cannonboro broadloom is recommended for use in many spaces in need of a luxurious touch. Hotels, restaurants, boutique shops, as well as in the home in bedrooms, living rooms, and more. Luxurious pattern and color options. The carpet came on time as mentioned. It was delivered into the house. The carpet is very thin and feels rough to the feet. This needs a very good padding. I wish I checked a sample before purchase.